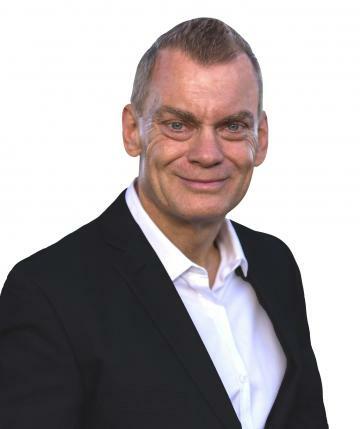 Les has earned an enviable reputation as a skilled and knowledgeable real estate agent able to achieve premium results for his sellers. Now in his 25th year of selling property, Les has been trained by some of the world’s best real estate practitioners. In turn, he has trained new and less-experienced sales consultants, helping them to a greater understanding of how to achieve the highest possible price for a home seller, in the shortest possible time. Les has achieved international recognition as one of Australia’s leading auctioneers. He was officially recognised as Queensland’s best property auctioneer in 2011. He followed that up in 2013 with a second placing to the auctioneer now regarded as Queensland and Australia’s best ever. He has been a member of the Queensland and New South Wales Real Estate Institutes’ auctioneering judging panels and has represented Queensland twice in the Australasian Auctioneering Championship, a coveted titled contested by an elite group of auctioneers from Australia and New Zealand. If you are seeking to sell your property for the highest possible price in 60 days or less, contact Les Moriarty at The Property League for a relaxed and friendly chat. Glorious land with stunning view! * 4-bedroom home + 2-bedroom "granny flat" * Quality finish throughout the home. * Spacious master bedroom with stunning ensuite and large walk-in robe. * Separate "wing" for the kids. * Magnificent swimming pool and outdoor area. * Comfortable home theatre. * Triple garage plus 10m x 8m "shed" for extra car accommodation. * Sunshine Coast beaches 15 minutes away. * Easy access to M1 and Brisbane. - Two residences on one allotment. - Excellent dual-living arrangement. - 4 bedroom home + 2 bedroom villa (income producing via Airbnb) - Main home has been rented for $530 per week. - Villa provides a lucrative income stream from airbnb. - Six bedrooms in total. - Three bathrooms. - Three-car lock-up garaging. - Two swimming pools. - Both homes airconditioned. - Low-maintenance grounds. - 800 square metres of prime Buderim land! - Approx. 1km to Buderim Village. * Three generous bedrooms. * 2.5 bathrooms (main bathroom & ensuite refurbished) * Raked timber ceiling in airconditioned living area. * Indoors flow seamlessly to the outdoors. * Relaxation deck nestled amongst the treetops. * Glorious forest and valley outlook. * Stunning pool with Bali hut and gazebo. * Solar panels. * Double lock-up garage plus space for car, boat or caravan. * Lifetime structual guarantee & lifetime termite warranty for ultimate peace of mind. * Comfortable home on two levels. * Ducted airconditioning throughout. * Double lock-up garage. * Three bedrooms. * Main bedroom has ensuite adjoining. * Two bathrooms + powder room. * Private courtyard and covered entertaining. * Easy access to beaches, Sunshine Motorway and airport. If you are ready to stake your claim on your personal piece of coastal paradise, act quickly to avoid disappointment. This beautiful home is going, going, about to be gone! Your Beach House Dream Awaits! * 3 bedrooms. * Bathroom + separate powder room. * Stunning timber floors. * Charming veranda with the prized northerly aspect. * Solar panels. * Fully fenced, level yard. * Less than 1km to the beach. * Close to schools, shops and transport. * Seven minutes to train. * 25 minutes to Brisbane Airport. * 40 minutes to Brisbane CBD Make no mistake, this charming beach house is priced to sell. Homes for this price in this location sell quickly. Act quickly to make this wonderful opportunity yours! * Perfect north-easterly aspect - wonderful sea breezes. * Four bedrooms. * Extra large main bedroom with ensuite & walk-in robe. * Covered deck (north facing) * Extra big living area. * Stunning timber floors. * Energy efficient (LED lighting and solar HW) * Mountain Creek school catchment. * Minutes to Buderim Village & beaches. * Easy access to SC Motorway and M1. If you are someone who enjoys sitting on your deck, cuppa or glass of wine in hand, looking out onto a stand of natural rainforest, then this beautiful building site is yours! Tucked away at the end of a quiet and peaceful entrance driveway, the block offers space, peace and quiet in abundance, and a wonderful northerly aspect. It is minutes to beaches, shopping centres and schools. With land values in Buderim climbing almost daily, you won't want to miss this exquisite opportunity! Enjoy the best of life on Buderim! - 4 generous bedrooms. - Main bedroom is huge! - Spacious living areas. - Separate lounge & dining. - Family room. - Gourmet kitchen for the home chef. - Stunning & private backyard. - Covered alfresco area with lovely outlook. - Undercover parking for 3 cars. - Powered shed & water tank. - Beautifully landscaped grounds. - Short stroll to village. - State school & child care centre nearby. The perfect site to enjoy a perfect Buderim lifestyle! Beautifully elevated with potential for a great view, this excellent building block is less than 10 minutes to some of the world's best beaches and the uniquely charming Buderim Village! * Massive 1,292 square metres. * Peaceful outlook to trees and mountains. * Located at end of a quiet street. * Easy to build on. * Cool breezes & pristine environment. * Close to schools, shops & transport. A view you will never grow tired of – with a potential income stream as well! - Uniquely appealing family home. - Huge 1334sqm allotment. - Views to coast, Glasshouse Mountains, Blackall Range. - Gorgeous & relaxing low-maintenance grounds. - Abundance of fruit trees for a healthy lifestyle. - Upstairs offers a lovely open plan design. - Downstairs has a fully self-contained area (ideal airbnb etc.) - Genuine dual-living potential. - Expansive verandas to maximise the views. - Home enjoys a private setting well back from the street.